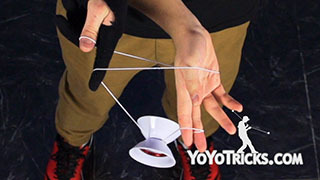 Learn to do the Offstring Trick Back Attack. 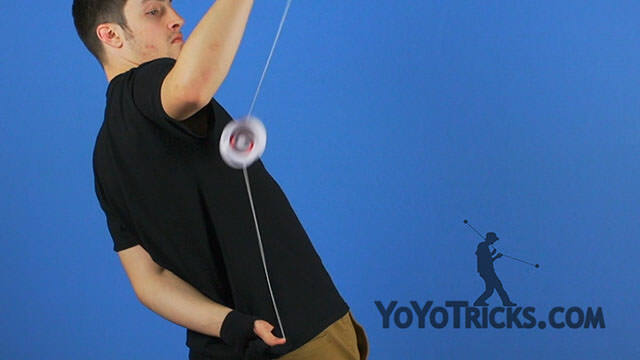 To do this trick, you are going to want to throw the yoyo out on your throwhand side. 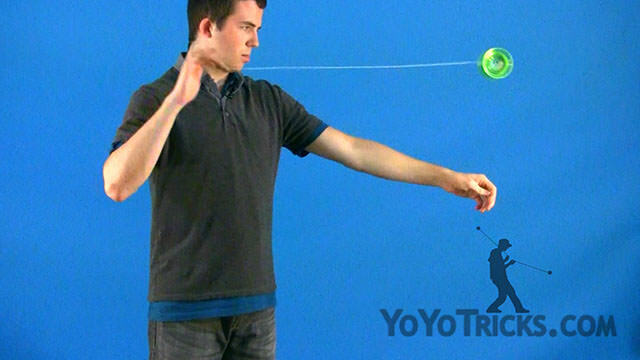 While the yoyo is in the air, you are going to want to bring your hands together, grabbing the string with your non throwhand, and pulling your hands apart. Next you are going to swing the yoyo to the opposite side of your body. Then recapture on the other side of the string. 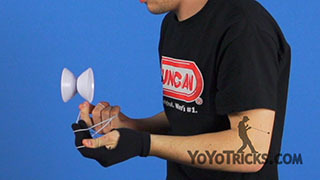 This will create a twist in the string which will allow you to swing the yoyo back into a bind. 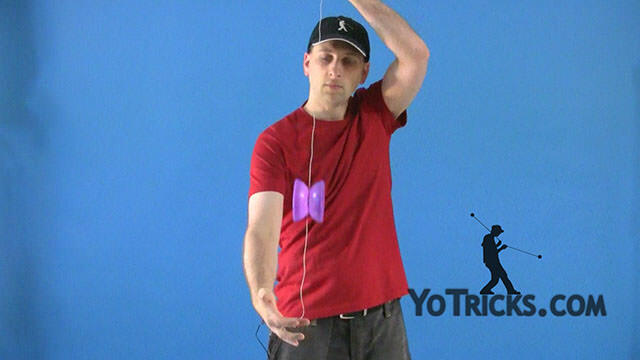 Immediately from the bind, you are going to do two inside loops, and when the yoyo comes off the string, you are going to land it in a forward mount behind your back. 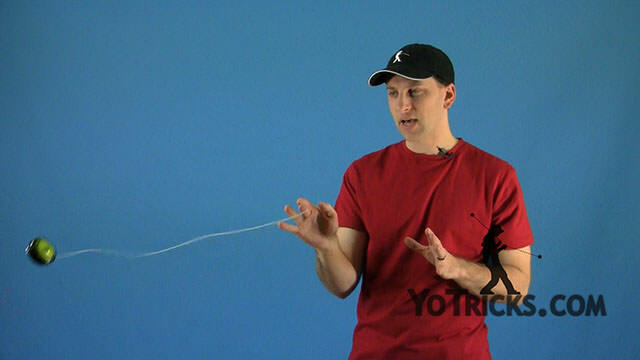 If you are having trouble with the inside loops, something that really helps is if you pull the yoyo back before it flies off the string. 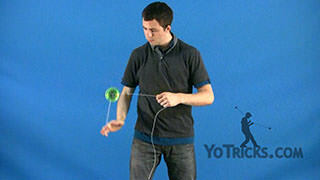 From here, you are going to bind the yoyo, finishing the regen, and landing on top of the string. Then you are going to swing the yoyo over to the opposite side of your body, using the momentum to do a regen. 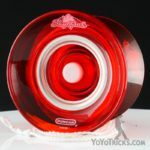 You are going to catch the yoyo in a recapture on the other side of the string. 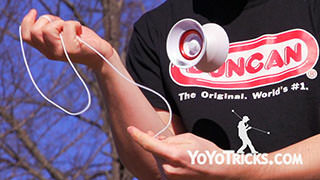 You are going to want to swing the yoyo to your throwhand side. 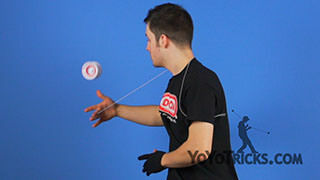 Then you are going to do another behind the back regen. 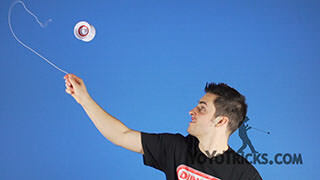 You are going to do this by releasing the string, allowing the yoyo to swing just like and under arm shoot the moon. 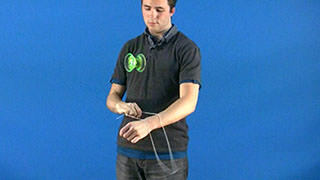 Then you are going to want to do a bridge bind to an open string bind to finish the trick. 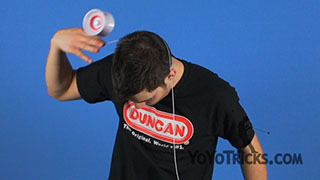 And that is the Back Attack.